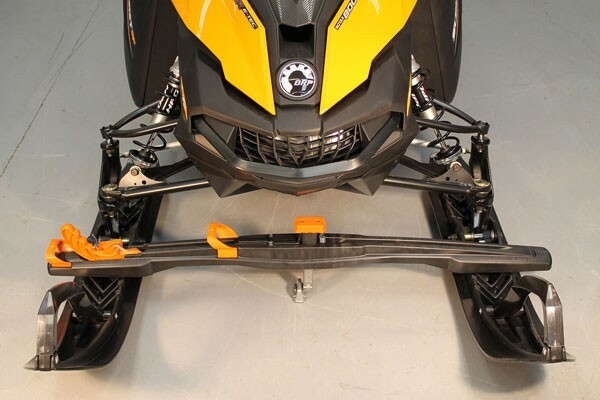 This tie-down system eliminates reaching over your salt shield, or way under your sled's belly pan. Everything is done from the side of your sled. 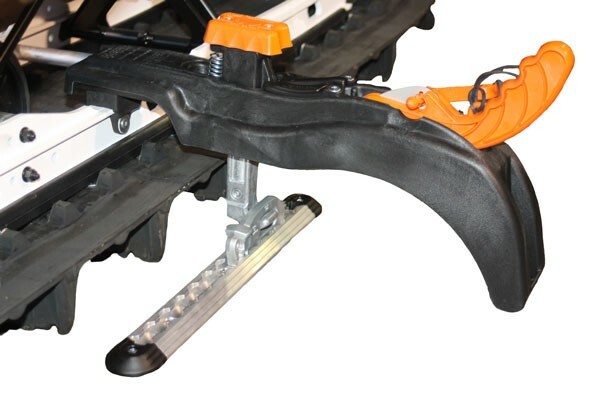 It can be locked for security when traveling and is designed using highly engineered FIBER REINFORCED THERMOPLASTIC for an extremely strong, lightweight (5 lbs) durable tie-down system. Sold per each.